We offer Plastic Automobile Moulded Components like Accelerator Pedal, Door Handles, Handle Pulls, Clip Bands, Band Fasteners, Grommets etc., used in various Autos, LMV, Buses etc. The Samvardhana Motherson Group specializes in developing and manufacturing a wide range of plastic products and integrated modules for both vehicle exteriors as well as interiors. SMG is a global Tier I supplier to all the leading automobile OEMs for polymer components and modules. 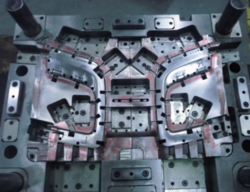 We hold expertise in providing an impeccable range of Automotive Plastic Molded Components.These automobile components are molded by us keeping into consideration the international quality standard. 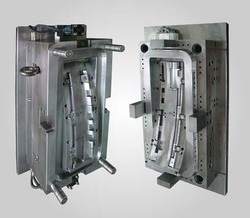 To meet the variegated demands of the clients, our company is instrumental in offering excellent quality range of Automotive Plastic Mould.